Our association is committed to keeping our members (both residents and business owners) informed of what's going on where we live and work, being a voice for our neighbors, and bringing our community closer together. OTNA encompasses Ward 2 in the City Of St. Charles, Missouri. 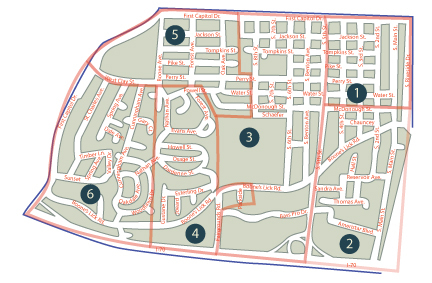 Within Ward 2, we have smaller areas with neighborhood representatives to help everyone keep in contact about issues directly related to their blocks, as well as areas that impact the entire ward. Below is a map of the ward with each area outlined.